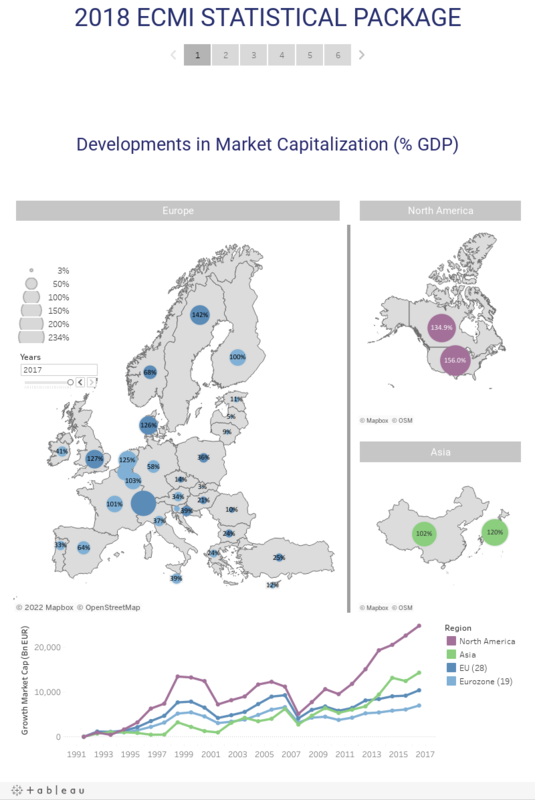 The ECMI Statistical Package presents a comprehensive collection of the most relevant data on various segments of European and global capital markets. * It enables users to trace trends so as to highlight the ongoing transformation of capital markets, including the structural changes brought about by competitive forces, innovation and regulation. It represents an important step towards overcoming the existing data fragmentation on the evolution of European capital markets by offering a ‘one-stop-shop’ for market participants, regulators, academics and students. The 2018 version contains data on equity markets, debt securities, securitisation, covered bonds, exchange-traded and over-the-counter derivatives, asset management, mutual funds, insurance companies and pension funds, and global comparative data. Each table is associated with a corresponding illustrative figure, giving a visual overview of the most important trends. A user-friendly navigation is embedded in the programme allowing users to explore the comprehensive package in an easy and purposeful manner. Click here to download the table of contents, a full description and sample figures. Click here to download the report with the key findings of the 2018 ECMI Statistical Package. For non-members, the package can be purchased via the CEPS website. * The ECMI Statistical Package retrieves, compiles and analyses data from publicly available sources and reports as follows: Section 1: WFE, FESE and trading venues; Section 2: BIS, ECB, ECBC, AFME, WFE, FESE and trading venues; Section 3: BIS, WFE, FESE and trading venues; Section 4: BIS and WFE; Section 5: EFAMA, OECD, Pensions Europe and Insurance Europe; Section 6 to 8: Eurostat, IMF and World Bank.